Also, Beats goes after Chinese counterfeiters before Apple sale, Hulu nabs South Park, Twitter tracks Wikipedia edits from politicians, Amazon trolls the French government, and an honest game trailer for Minecraft. The Raspberry Pi Foundation has officially unveiled the Raspberry Pi Model B+, described as “the final evolution of the original Raspberry Pi.” The Raspberry Pi Model B+ is available to buy right now from many stockists, including Element14 and RS Components. The Model B+ features the same processor, RAM, and software as the original. 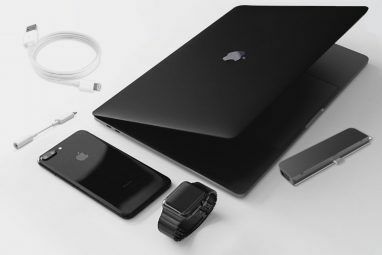 However, it boasts improvements including more GPIO (General Purpose Input/Output) pins, four USB ports rather than two, a new micro SD card slot, lower power consumption, and better audio. 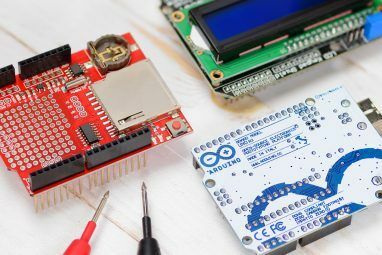 We’re big fans of the Raspberry Pi here at MakeUseOf, and the Model B+ represents a chance for more people to gain an interest in this tiny, affordable, open-source computer. 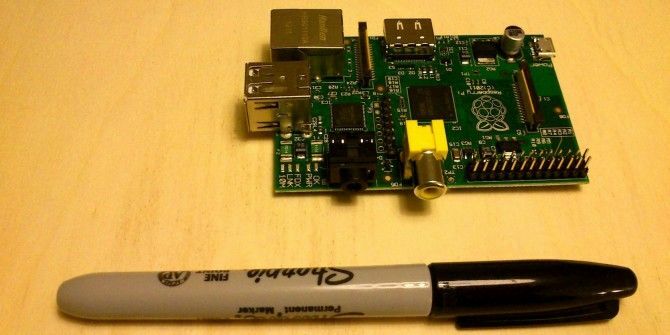 If you are new to Raspberry Pi then be sure to check out our unofficial guide to Raspberry Pi. The Federal Communications Commission (FCC) has received 647,000 comments regarding net neutrality (what is net neutrality? What Is Net Neutrality & Why Should I Care? What Is Net Neutrality & Why Should I Care? A significant number see Net Neutrality as essential to the survival of the Internet. In this article, we're going to look at why Net Neutrality matters, and why we should fight to protect it. Read More ). This is according to FCC Chairman Tom Wheeler, who reminded the Americans concerned about the issue that comments close on July 15. From that date until September the FCC will accept responses to these comments, with a final decision as to what to do about net neutrality expected by the end of 2014. So now is the time to make your feelings known to the organization deciding the fate of the Internet Killing Net Neutrality, Google Play PayPal, Hunting For Code, VR For Chickens [Tech News Digest] Killing Net Neutrality, Google Play PayPal, Hunting For Code, VR For Chickens [Tech News Digest] FCC is killing net neutrality, Google works on a "right to be forgotten" tool, PayPal comes to Google Play, Microsoft launches Code Hunt, Outlook gets new features, Nescafe jars gain 3D-printed alarm clock lids, and... Read More in the U.S.
Apple introduces “Mastered for Beats” logo for artists to include on album covers so everyone knows the music sounds crappy no matter what. Beats is pursuing legal action against Chinese counterfeiters allegedly selling fake Beats headphones to unsuspecting customers around the world. Dr. Dre’s company has filed this lawsuit just weeks prior to Apple finalizing its acquisition of Beats Apple Finally Buys Beats, Microsoft Teases Skype Translator, Hidden Cash on Twitter [Tech News Digest] Apple Finally Buys Beats, Microsoft Teases Skype Translator, Hidden Cash on Twitter [Tech News Digest] Apple gets Beats; a promise of real time translations from Microsoft; Chrome turns into a walled garden; Billboard ranks songs on Twitter; Uber gears up for the future; Avast hacked; and a Twitter cash grab. Read More in a deal worth $3 billion. Beats counterfeiters are alleged to generate $135 billion in sales each year. According to Appleinsider, Beats is seeking an import ban, the forfeiture of all profits, and the seizure of domain names associated with the illegal businesses. Because you can never be rich enough. Hulu has acquired the exclusive rights to South Park (the video of which embedded above is extremely NSFW). The three-year deal, reportedly worth in excess of $80 million, gives Hulu the full back catalogue of South Park episodes, as well as new episodes immediately after they air on Comedy Central. Several accounts have emerged on Twitter detailing anonymous Wikipedia edits made from the offices of various governments around the world. These include @congressedits for the U.S., @parliamentedits for the U.K., and @aussieparledits for Australia. The idea is to track changes made to Wikipedia entries by people who may have a vested interest in quietly controlling the flow of information. It’s a genius idea which should help keep Wikipedia truthful and unbiased, even though its accuracy cannot always be assured 3 Wicked Wikipedia Websites [Weird & Wonderful Web] 3 Wicked Wikipedia Websites [Weird & Wonderful Web] These three websites are entertainingly invaluable in helping keep an eye on Wikipedia and the content it's throwing out into the ether. They are funny, they are useful, and they are definitely worth bookmarking. Read More . This week I learned that there are couches on Amazon that are eligible for Prime shipping. France recently enacted an “anti-Amazon” law banning the online retailer from offering free shipping and 5 percent discounts on books. While Amazon hasn’t yet seen a way around the ban on discounts, it has already solved the problem of free shipping by charging €0.01 per order. Simple, effective, legal, and totally trollish. And finally, Minecraft may be a phenomenally successful game that has taken the world by storm Is Minecraft Really That Great? [Opinion] Is Minecraft Really That Great? [Opinion] Minecraft is quite possibly the most viral and addictive indie game that we've ever come to see. Who knew that a concept as elementary as playing with toy blocks could become such a sensation? I... Read More , but that doesn’t mean it’s above criticism. I myself think it’s overrated 5 Beloved & Acclaimed Games That Are Incredibly Overrated 5 Beloved & Acclaimed Games That Are Incredibly Overrated Reviewing something, whether it's hardware, software, art, or an experience, is a deceptively tricky thing to do. You have to try and put aside personal biases and focus on the actual positives and negatives of... Read More , while Smosh has made an honest trailer for Minecraft after demands from non-fans. It’s all true too. Are you interested in the new Raspberry Pi Model B+? Have you told the FCC your views on net neutrality yet? Are you a fan of Minecraft or do you think it’s overrated? Explore more about: Apple, Minecraft, Net Neutrality, Raspberry Pi, Wikipedia.